The herds are coming back, and our outfitter has more permits than anyone (16) due to his prolific area, but we have only 8 permits remaining. 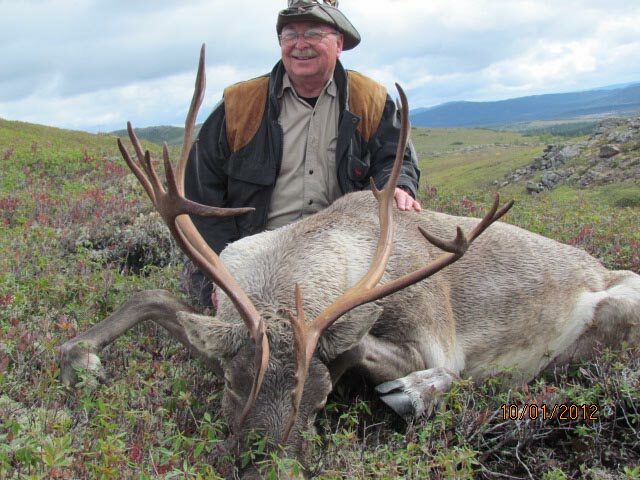 We will hunt September 15 to November 10, but prime time for Woodland Caribou is October - early November. 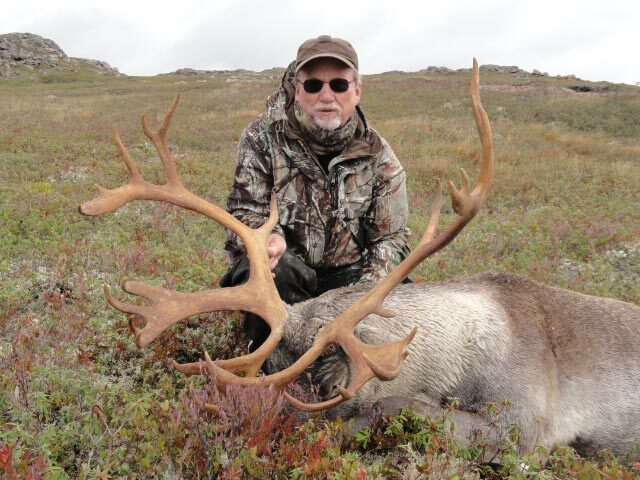 Ken Wilson was there in November 2012 and saw over 100 Caribou per day including several terrific trophies up close. He didn't have a tag, because we sold out all 16 early in 2012. That's why you need to book now for 2013. And it is only $6,150. For 5 years, our outfitter was 100% ... until this year when his hunters went 15 for 16. #16 did not hunt the last day. Nevertheless, he is invited back at a discount because this hunt should be 100%; especially when the 8-wheel Argos do all the hard work. 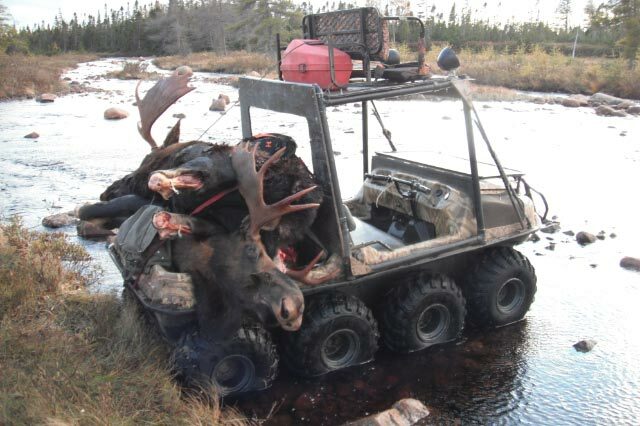 We have two Moose programs. 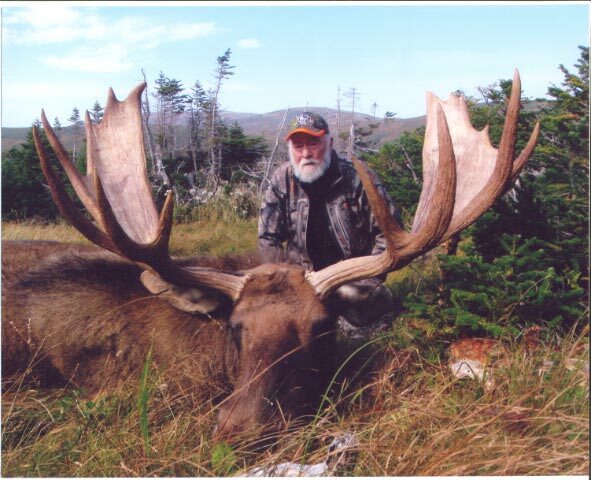 First is a trophy fly-in tented hunt in an area with no local hunting pressure. 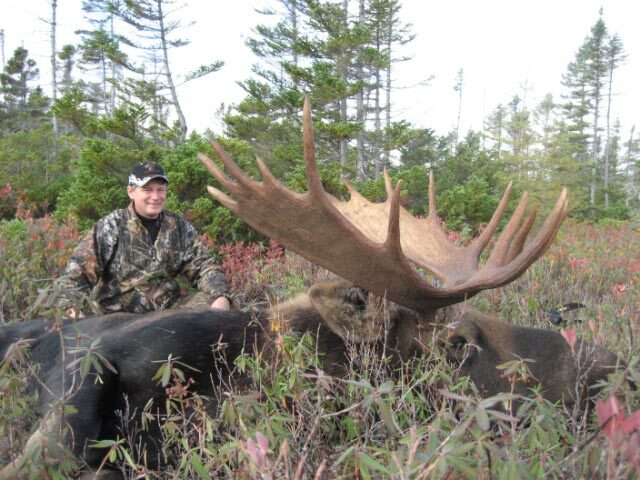 The helicopter in and out adds to the cost, but the limited licenses and large population of trophy bulls make this THE PLACE to hunt Eastern Canada Moose. In 2013, our outfitter will hunt only the pre-rut (September 15-22 and 22-29) and the rut (September 29 - October 6 and October 6-13). The pre-rut hunts will cost $8,850 and the rut hunts will cost $9,950. The results will be the same ... virtually 100% on good bulls. 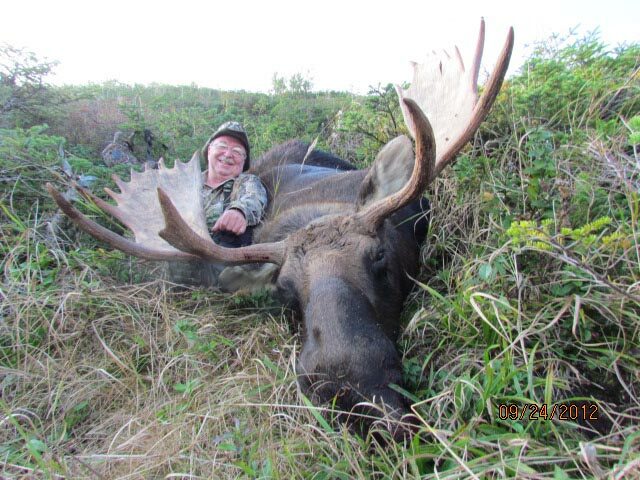 Bill: I don't know why you are not smiling just after shooting one of the biggest Newfoundland Moose ever shot! 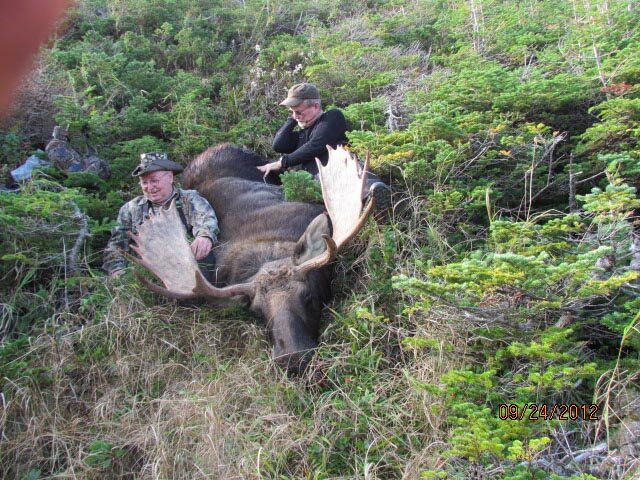 Our second Moose program is with our Caribou outfitter and can be Moose only ($4,950) or combined with Caribou for an add-on price of only $2,700!! 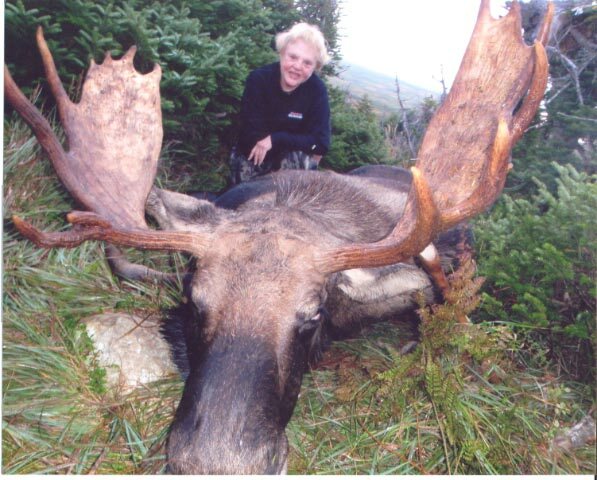 Both species can be hunted in the same area during the same week. We may not sell out of this one because our outfitter has such a prolific area that he is given over 100 tags each year!! !